Internationalt Kristent Center in Aarhus is Christian work among refugees and immigrants, and a part of Indre Mission. We have a language school where everyone is welcome and where all classes are free. Monday: 12 -14 Come and speak Danish, play football or get help with your homework. Tuesday: 12 -14 We play “Just Dance” on Wii, make cakes, go for walks or something else. Wednesday: 12 Come and have delicious food for 25 kr. Thursday or Friday: Social day where we visit a museum, a café, find a free concert or something else. Sometimes we make baking - days too or other nice indoor activities. We send the classes and other information out with e-mail. If you want to receive e-mails from us, please return this paper. 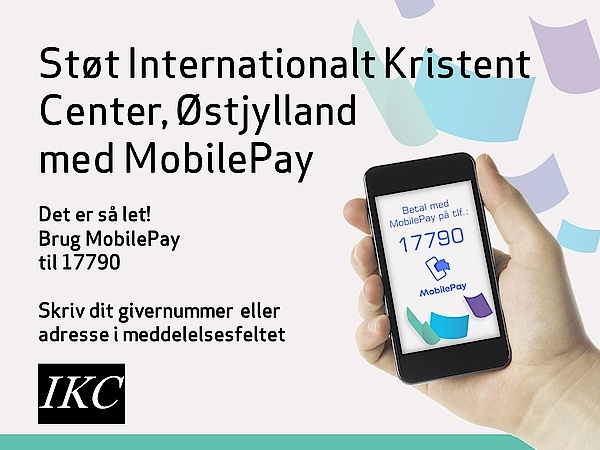 If you have any questions, you can call Peter Mikkelsen, the leader of IKC Aarhus, on 61789988.